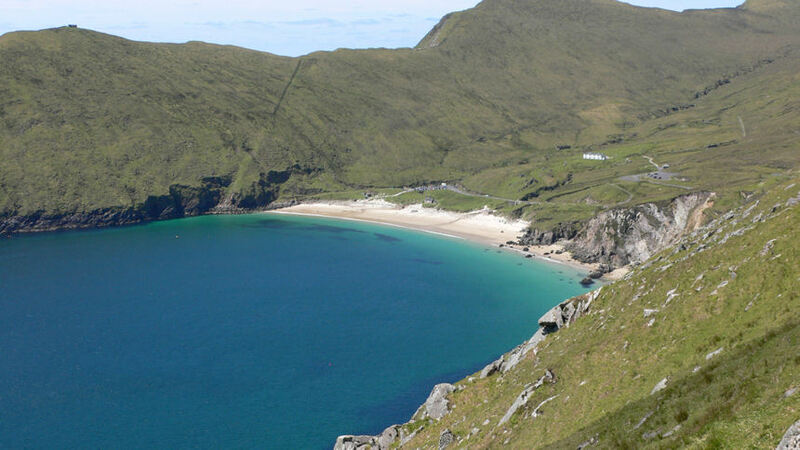 Achill Island is situated in County Mayo on the west coast of Ireland. It is the largest Island of Ireland and has a population of around 2,700 people. Even with it's remote location Achill is easily accessible from the mainland and has all the local amenities and services you will require. It has some of the most beautiful scenery in Ireland, including the Atlantic Drive and is steeped in a rich history. The ideal location for a peaceful and stress free holiday. Achill has a rich history and even has it's own Archaeological Field School based at the Achill Archaeology Centre in Dooagh. With settlements on the Island as early as the late Neolithic period, Achill's interesting past is here for you to discover on your visit. To read more about Achill and its history visit the Wikipedia page . 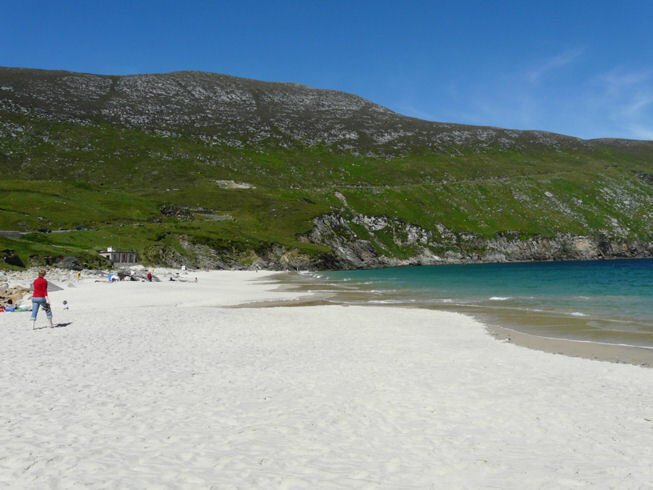 Below is a list of some places that you may wish to visit during your stay in Achill. Keem bay and blue flag beach. Cliffs of Croaghaun are the highest sea cliffs in Europe. The remote but beautiful Annagh. Including the lowest corrie lake in Ireland. By foot or boat only. 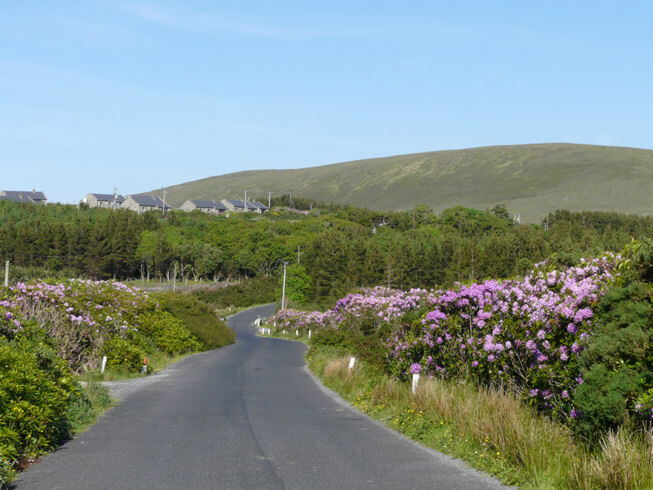 Slievemore Mountain (672m) and "Deserted village"
As well as providing some relaxing scenic walks Achill also has Hill walks at varying levels of ease. 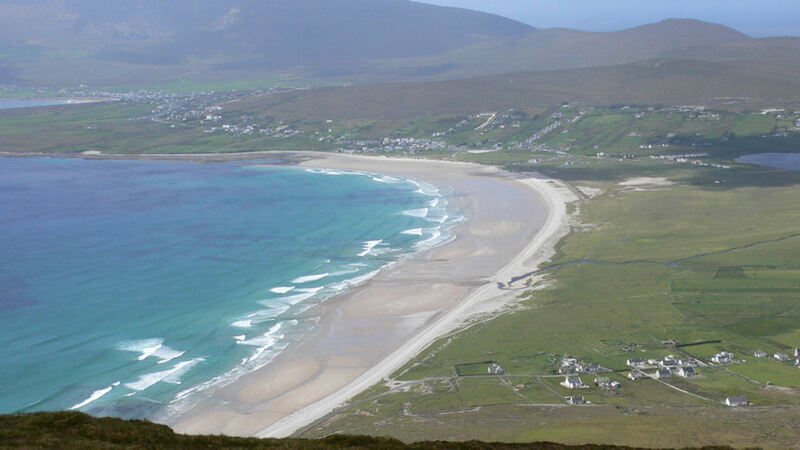 Achill tourism provides seven hill walk guides . Each of these guides are part of the Achill hill walk festival that takes place during March. The island has a 9 hole course behind Keel Beach and there is a further 9 hole course at Mulranny (including sheep and cattle). There is the highly renowned links course at Carne on the Belmullet Peninsular (approx. 1 hour drive) and also an excellent course at Westport (previously hosted Irish PGA championships) and Castlebar, both approx. 50 minutes drive. Access is also excellent if you wish to play further afield in Connemara or Donegal. Achill has a vast array of places to eat out. Whether it is a cafe, bar food or a local restaurant you are after you will not have to look far. Serving local produce and many specialising in seafood you are spoilt for choice. Achill Tourism has a great guide to eating out.